No more fear of seeing the dentist. Giving you the confidence you want and the smile you deserve. You may suffer from dental anxiety, but you don't want to suffer from tooth decay and gum disease either - or even potential heart disease that may be linked to poor dental hygiene. Sedation dentistry with Dr. Mark Pelletier may be the answer for many people who struggle with dental phobia. Modern sedation options can make dentistry actually relaxing! Ask us about conscious sedation to help relieve the stress of some cosmetic dentistry procedures. We also provide dental implants, cosmetic dentistry and teeth whitening. Our staff is very sensitive to your dental phobia. At Premier Aesthetic Dentistry, we provide caring, understanding service tailored to your safety and comfort. Whether you need to address a complex dental problem or just need a simple routine dental checkup, we have lots of experience in calming fears and anxieties associated with dental procedures. Call us today at (803) 781-7901 for Chapin area sedation dentistry and a healthy, more beautiful smile tomorrow. Or fill out the online form for easy scheduling. We have several convenient payment options and flexible scheduling to fit your busy life. One of the first things people notice is your smile. All it takes is a single appointment or two with Chapin area dentist Mark Pelletier, D.D.S., and you, too, can have the winning, healthy-looking smile you've always wanted. The beautiful cosmetic results you'll get from Premier Aesthetic Dentistry can be immediate and dramatic! You've probably heard that a root canal procedure can be an uncomfortable experience. 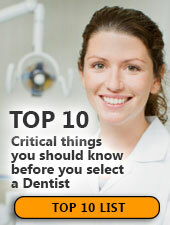 At Premier Aesthetic Dentistry, located in Chapin, SC area, that's not the case. Dr. Mark Pelletier numbs the tooth so you simply won't feel any pain, and you'll find that there is very little discomfort afterwards. "Thank-you for always thinking of us. You go above and beyond to make my daughter happy and that means the world to me!" Complementary Consultation - It's Free!! Please mention this FREE consultation when you are filling out your consultation request. The VELscope system helps dental professionals visualize abnormalities in the mucosal tissues of your lips, mouth and upper throat. In just two minutes, with no rinses, stains or discomfort, a VELscope examination lets healthcare professionals improve their assessment of your overall oral health. If you're looking for affordable sedation dentistry in Harbison you don't need to look any further. Mark Pelletier, D.D.S., is the sedation dentist that Harbison residents trust to deliver experienced and professional dental care. When it comes to basic dental care, Dr. Pelletier will tell you that nothing tops brushing. If you choose to use a manual toothbrush, be sure that it is small enough to reach your entire mouth easily. Also, bristles that are too firm can cause your gums to bleed. Those who prefer something a bit more convenient and comfortable might consider an electric toothbrush. Be sure the head is soft and the bristles move in a back-and-forth motion. If you have questions about your toothbrush, call us at (855) 656-8606 and we’ll be pleased to offer recommendations. At Premier Aesthetic Dentistry we recommend that a mouthguard be part of every athlete's gear, no matter the sport. Parents should make sure their children are protected. Even adults and weekend athletes need to protect their smiles and preserve their health. Wear a mouthguard at all times when playing sports. It’s always best to wear a mouthguard custom-fitted by your dentist, especially if you wear bridges or braces. Don’t wear removable appliances like retainers when playing sports. If you have any questions about dental health for athletes, please call our office at (855) 656-8606 and we’ll be happy to help you find the answers. It's amazing how much variety you can find in dental floss. With conventional floss, you just tear off a piece at least 18 inches and wind it around your index fingers. If you find traditional thread-like floss is uncomfortable for your gums, try dental ribbon, its smoother counterpart. Dental flossers are often regarded as being easier to manage than conventional floss. There's no need to wrap any excess thread around your fingers, which some find uncomfortable. If you have a fixed bridge in your mouth, nifty little floss threaders allow you to thread the floss between your teeth, under the bridge work. If you have questions about dental floss, just call Premier Aesthetic Dentistry at (855) 656-8606 and we’ll be happy to make a recommendation.